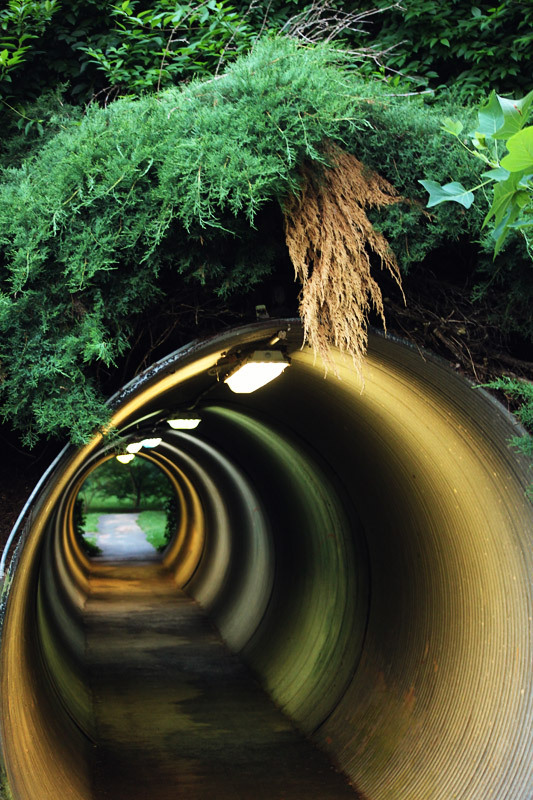 I just recently discovered this tunnel on one of my walks around the neighborhood. It goes under the main road and I’m always scared going though it because I imagine it collapsing on top of me whenever a car drives over. That’s pretty much my brain’s M.O. : always imagining the worst possible thing that could happen. It’s so much fun being me! I’ve been trying to fight back lately, so I go through the tunnel even though it scares me. I’m still working my way up to doing the bigger things that scare me, but every day that I go through this tunnel again I feel like it’s start, at least.